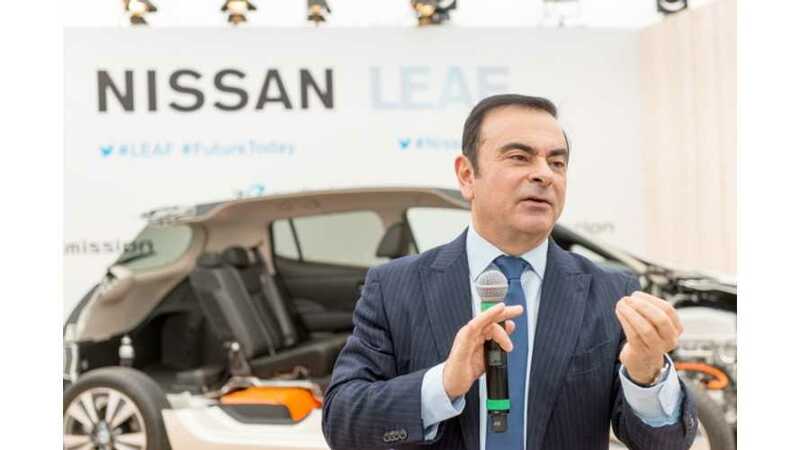 Reanult-Nissan CEO Carlos Ghosn remains extremely optimistic on the Alliance's electric future. At the 2013 Frankfurt Motor Show, Ghosn once again hit the stage to discuss a long-term EV target. For the Alliance, the number is now set at 1.5 million electric vehicles on roads by 2020. Yes, it's an optimistic mark, but Ghosn insists it's achievable. Ghosn admitted to sales in Europe are below expectations, but says that the economic situation there is slowly turning around and that the future looks much brighter. According to Ghosn, Renault-Nissan will continue to lead the world's automaker in the electric vehicle segment. Ghosn sees Renault's EVs as capable of capturing 10% of the European market (total automotive market, that is) is the not-so-far-off future. The Renault-Nissan Alliance has no intention of losing its #1 spot in the electric vehicle segment and will do everything in its power to remain on top. As wee see it, no other automaker has even begun to challenge Renault-Nissan for the lead, so there's no way the Alliance will fall from its pedestal anytime soon.